Are we as the people of a beautiful nation doing enough to remember our athletes? The answer to that is a resounding ‘No’. We are too caught up with the mainstream and the popular, and we often end up ignoring heroes from the forgotten fields. It is high time we start recognizing and crediting athletes from sports other than cricket. How about disciplines which are by far more physically demanding, a true test to the human limits, like athletics and hockey? One small improvement in recent times has been that we have started taking note of our medalists at multinational games like Olympics, Asian Games, and Commonwealth Games. But let’s track this back to a zero point and spare a thought for athletes who got the trend starting – the initiators and the patrons. One such pioneer is Mary D’Souza, who became the first Indian female Olympian, representing India at the 1952 Helsinki Olympics. It took more than 60 years for the sports authorities in India to recognize the achievements of Mary D’souza, as they felicitated her with the Dhyanchand Award in 2013 for her lifetime achievements in athletics. 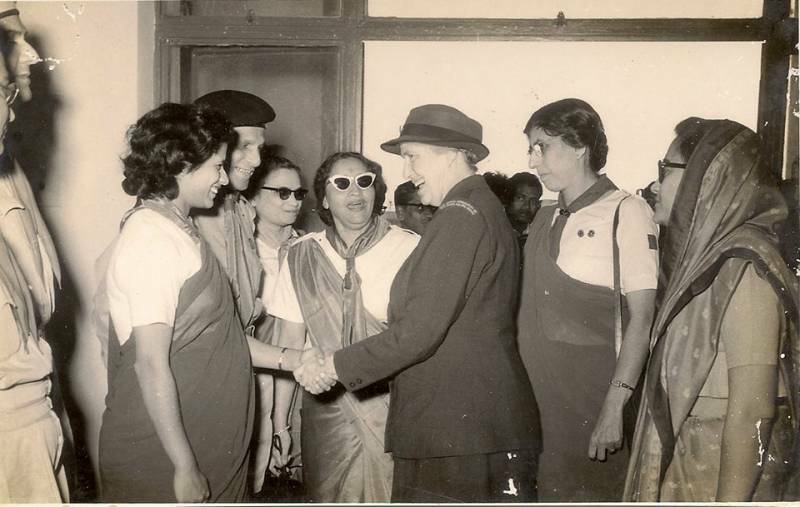 Mary, besides being a track and field athlete, was also a part of the then infant Indian women’s hockey team. Mary’s most remarkable victory came at the inaugural Asian Games held in New Delhi where she became the first double medal winning athlete from India. She bagged a silver in 4x100m relay and bronze in 200m. 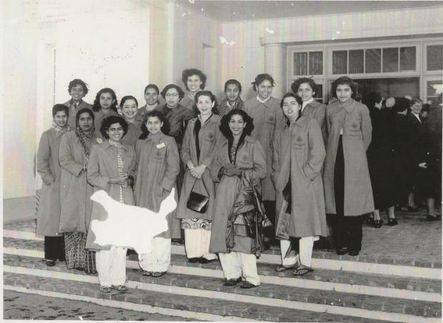 After representing India at the 1952 Helsinki Summer Olympics, she was also part of the contingent destined for the 1956 Melbourne Olympics. However, the entire women’s contingent had to stay back just as the preparations were done, due to lack of government funds . It didn’t end there though; Mary went on to hold the national record for 100m, 200m and 800m hurdles until 1957. 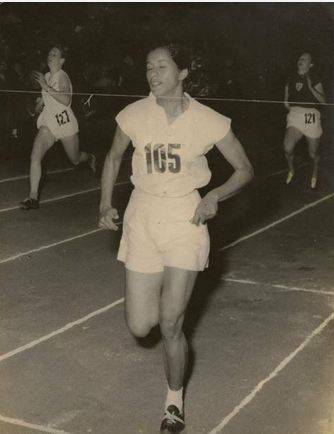 Moreover, she was part of the Gold medal-winning 4x100m relay team in the second Asian Games in Manila in 1954. In hockey, she represented India at the 1953 and 1956 Hockey World Cups at London and Australia respectively. She was also a part of the team that played against Japan in 1962. Mary has been an extraordinary athlete for the nation, not only for her achievements in the sporting arena but also for the extra efforts she had to put in. She was a girl from a nation which was taking baby steps after coming out of independence, and nothing was easy. In the first few years after our independence, we had massive social and economic issues coming out of a dreadful partition, and famines and crop failures in various states were the norm. Maharashtra was one of the states affected by famine, but that didn’t stop a girl coming from that state to take up athletics as her profession. Her story carries enormous weight that only gains in significance over time. When asked if the sports authorities in India were keeping contact with Mary, Marissa laments, “None of the sports organizations has ever maintained contact with her”. She added, “The recognition issue is now with regards to Maharashtra State who have not given her any award during her lifetime for her achievements in sports. Most people do not know who she is, despite her being the first double international. I must add that she has received more recognition from athletes in the US and common people in the US than her own countrymen. The regard for sportswomen and recognition given in India is missing,” perfectly encapsulating the the plight of sportswomen in India. Q: If not an athlete you would have been? I would have been a professional dancer. I love to dance! Q: How did you decide to take up running professionally? It must have been one of the most unique careers around back then. I enjoyed outdoor sports, all games. I excelled in hockey and athletics right from the beginning, and that’s what made me take it up. Q: What according to you was the best moment of your sporting career? 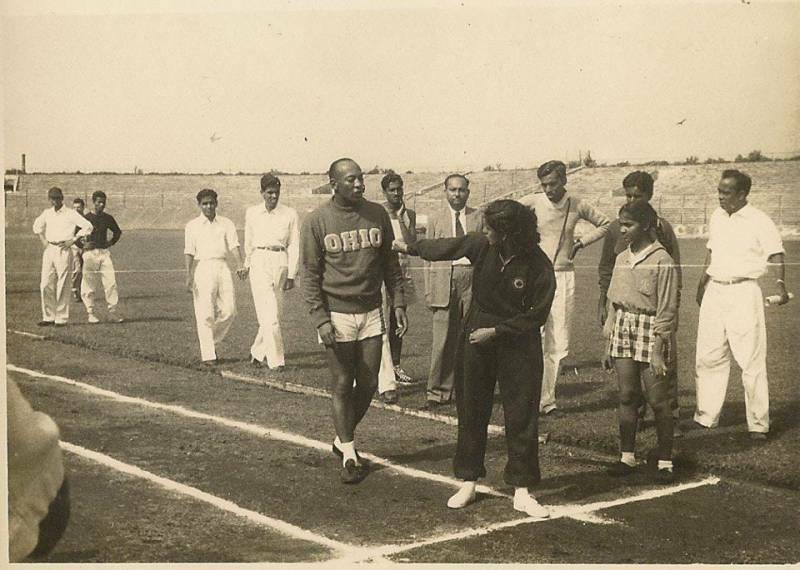 To represent India at the Olympics in 1952 – that was the best moment of my career. Q: India were the track and field leaders in the first few Asian Games, but now it is a rarity to see Indian athletes win any medal, even at Asian Games. What do you think is the reason for that? There are too many distractions like TV and computers; these were not there in my days. Q: Haha! That’s one way to put it. Some people have also said that our genes restrict our physical endurance. Is that an absurd statement or does it carry any truth? I think that is rubbish! Q: Do you feel the Indian government authorities do enough to remember our sportsmen and women, besides the cricketers? 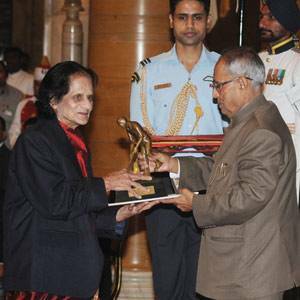 After 60 years, I was given the Dhyan Chand award in 2013. I am glad that it was not done posthumously. That says enough, really. Q: Another question about your professional career – can you throw a little light on why the government decided not to send the women’s contingent for the 1956 Melbourne Olympics? At the time, I was told that they did not have enough funds. Q: Any previously undisclosed Asian Games or Olympic Games story that you would like to share with us? My greatest regret was that I did not win the 100m at the second Asian Games. I did 12.3 seconds at our National Athletics Championship and at other meets in Bombay (Mumbai) and held the National and the Asian record at the time. On paper, I was the favourite to win. A girl at the side of me whom I had become friends with had a false start and was disqualified, so I got nervous and had a late start and did not catch up. The winner did 12.5 seconds, which I should have easily beaten. To put it in simple words, Mary has been an illustrious athlete for India who has made the nation proud with her triumphs. She has worn the tri-colour with exuberance and aplomb, and has represented the country on the podium several times, with her head held high. We salute this wonderful lady, and hope the rest of the country recognizes her achievements too!